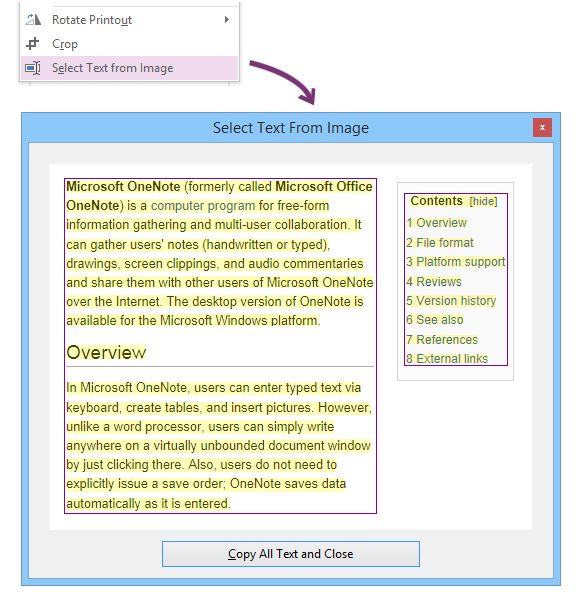 When you delete a page of a multi-page printout, OneNote will display a message at the top of the page that reads: This message tries to tell you that the file that backs the printout still contains the pages you deleted, so if you were to share the OneNote page with someone else, they can still extract those pages. However many users found the message confusing and there is no way to get rid of it even if you fully understand what it is trying to say. Onetastic provides a button on the ribbon to clean up the backing document for the printout by removing the pages you deleted from the file and remove the message. 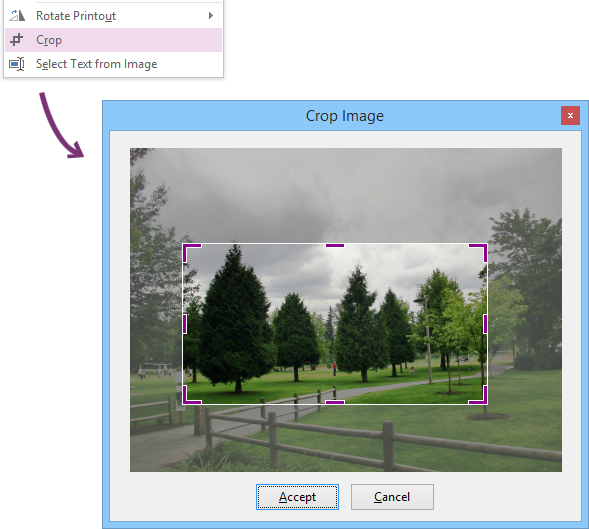 Note that this feature is only available in OneNote 2010 as the issue was fixed in OneNote 2013.